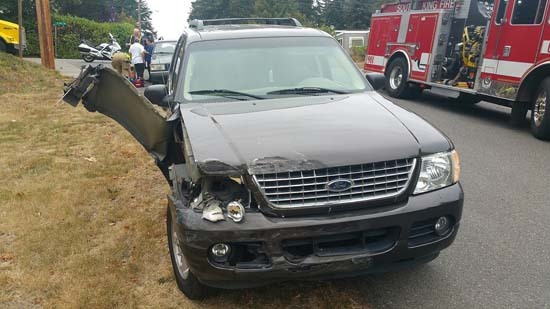 FEDERAL WAY, Wash. -- Two preschoolers who wanted to visit their grandma stole the keys to their mom's SUV and tried to drive over to her home, according to police in Washington. The 5-year-old and 3-year-old weren't big enough to see over the steering wheel and their feet couldn't reach the pedals, authorities stated. 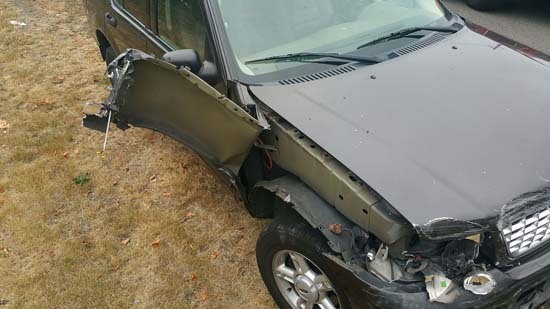 The children were able to start the engine and drive the SUV into a nearby intersection where hit a vehicle, according to police. 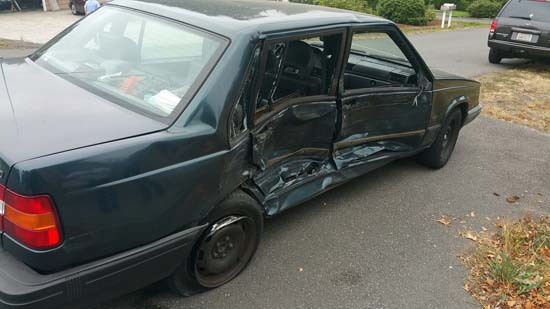 The Federal Way Police Department posted photos of the damage on their Facebook page. Neighbors heard the crash and sprinted outside to see what happened. "(It sounded) like and explosion went off, something, we really don't know. So I ran out and I saw it," neighbor Annemarie Warren told KOMO-TV. "I knew it was our neighbor's car, but I did not know she wasn't in the car. Only the two little ones." 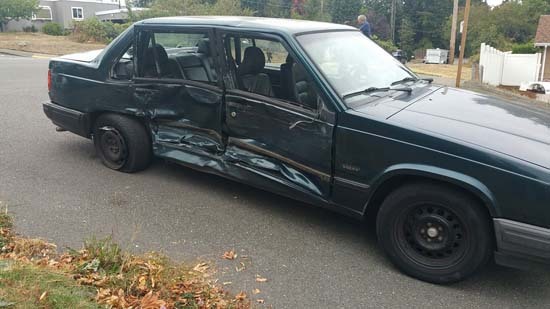 The children were not injured in the crash, witnesses said. The driver of the other vehicle suffered cuts and bruises. "I held the kids both in their hands and I said, 'Where's your mom?' (They said,) 'Sleeping. I want to go to my grandma's house,'" said Warren. Authorities didn't state if the parents of the children would face any charges.